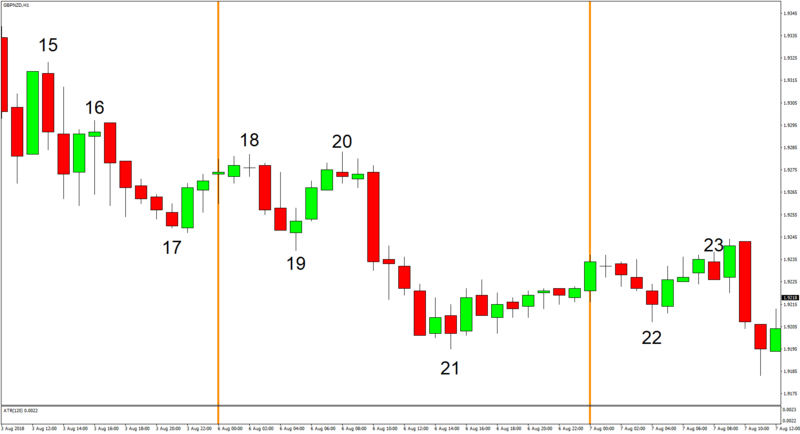 A new trading week is already underway, which means another batch of daily updates. So, how did the two Variants fare? 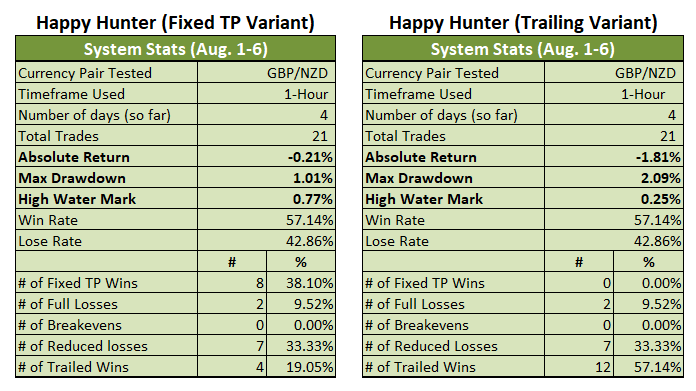 Getting back on topic, trading conditions didn’t improve on August 6. In fact, volatility tightened that day. Some losing trades were therefore inevitable. 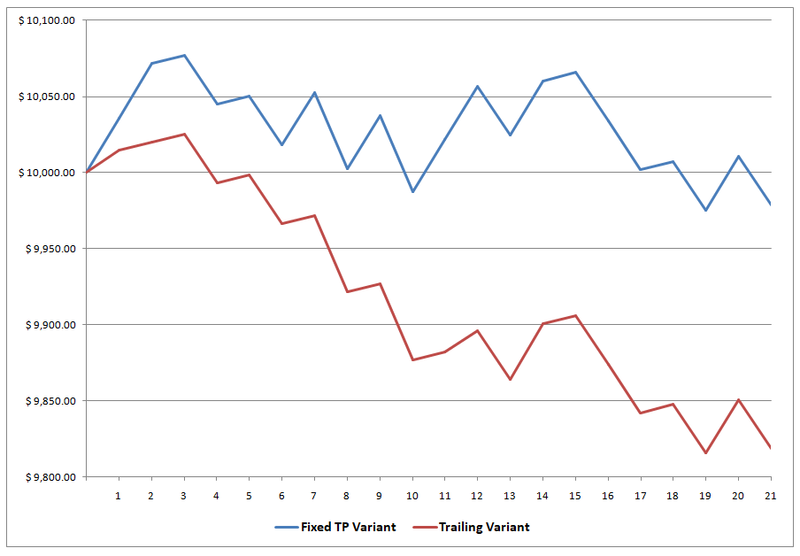 Moreover, the open trades from last Friday were both losers. 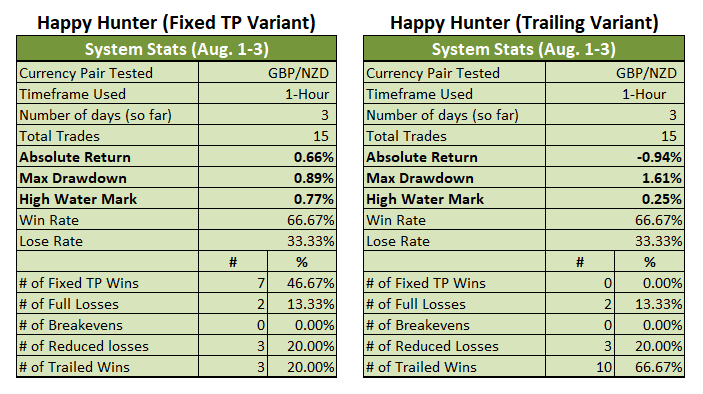 Given all that, both Variants of the (not so) Happy Hunter started the new trading week on a rather somber note, with the Fixed TP Variant now down by 0.21% for the month (+0.66% last Friday), while the Trailing Variant’s losses increased from 0.94% to 1.81%.